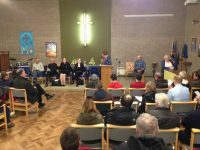 The meeting was addressed by two Bristol Cabinet Members, Cllrs Nicola Beech and Mhairi Threlfall, responsible for Place and Transport respectively. It was unclear exactly what they were proposing but Bristol City Council and the West of England Combined Authority want to use the old rail line for the Callington Relief Road, a bad old fashioned polluting and congesting motor road. This is design for the late Twentieth Century not the mid Twenty-First! Rupert Crosbee of Sustrans spoke in favour of the Greenway as did our Space4Cycling Officer, Nick Davies. Almost all speakers in the Hall supported them and all the applause was for this view. The evidence is that a road would make congestion worse as it would “induce demand” for people to use drive more (see Induced Traffic and Traffic Evaporation). 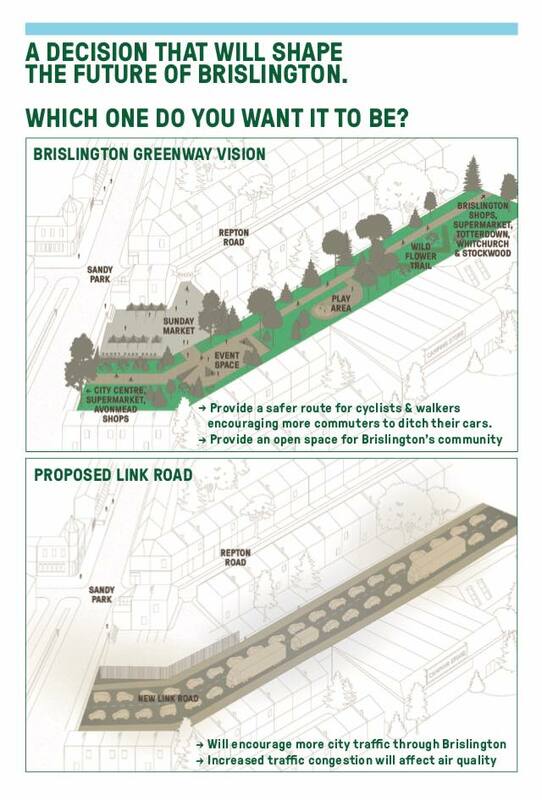 A public meeting is to be held on Tue 30 Jan to talk about making a new green route through Brislington instead of a polluting new road (6pm, St. Peter’s Methodist Church Hall, Allison Road, Brislington). 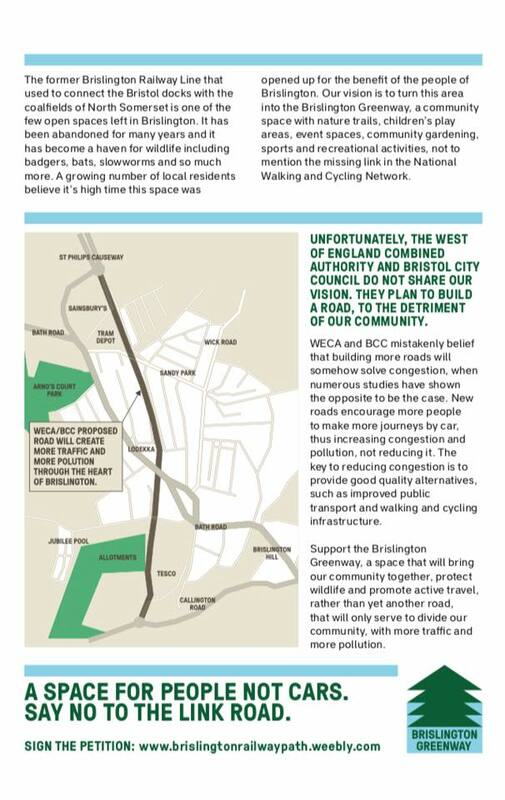 The Greater Brislington local councillors will be voicing their united opposition to the Callington Relief Road (as proposed under the WECA Joint Spatial Plan and recently reported by us here) and proposing a Railway Path instead. The associated petition is now pushing 500 signatures. Our Space4Cycling team will be at the meeting to talk about the benefits of improved cycling infrastructure as opposed to the building of more roads. Also at the meeting will be two Bristol Cabinet Members, Nicola Beech and Mhairi Threlfall. They will be promoting the road scheme, which many locals, including local Councillors from all parties, are vehemently opposed to. So it is imperative that we have a strong voice to speak up for active travel and the more of us that can make it to the meeting the more likely we are to persuade Cllrs Beech and Threlfal that yet another road scheme is not what Bristol needs. Old Brislington Railway – Relief Road or Green Haven? Think of the Bristol to Bath Rail Path. That’s a great cycle route, a nature corridor and a lung for our city. Could we have a similar Brislington Rail Path? This would provide a safe an attractive route into the centre of Bristol. It would form a missing link between the River Avon Path, which could be easily upgraded, and the Whitchurch Rail Path. 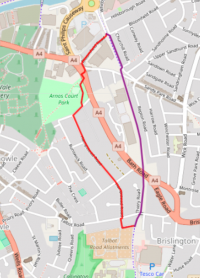 Currently getting from one to the other involves cycling over the busy A4 at Arnos Manor and negotiating Talbot Road and Hampstead Road, which are notorious rat runs during rush hour. This does not encourage families with children, or novice cyclists, to take to their bikes. It could also be a green amenity, and a linear park, for the local community. Of course, providing an alternative route to motoring will relieve congestion. This proposal was a Bristol Cycling Campaign ask in last year’s Council elections: https://bristolcycling.org.uk/space-for-cycling-2016-site/. So this campaign, by some of our local members, has our full support. REPORT: We were blessed with dry weather and sunshine for a guided tour of the Campaign’s proposals for an Inner Loop segregated cycleway and a route from Brislington down Bath Road into town. Gavin explained a lot of the details and issues that would need to be resolved and there was some good discussion of how they could be resolved and what alternative there might be. We all learnt a lot and look forward to doing further work to audit and specify these routes. Poor old Chris got a flat tyre part way round but managed to fix it and buy a spare tube for next time. The map of our route should be displayed above. Terry and I then went for a look at Clarence Road where work should be starting on the “Dutch-style” cycle way. Unfortunately the riverside wall is collapsing andit looks like this will be impacting the works. We then went on for a look at the Museum area, where cyclists are now routed around the back of the M-shed and the developers have laid a new cycleway that should eventually link straight through to the Cumberland Road underbridge without having to cross any rails. In turn this is planned to link directly to the proposed Cycling Ambition Fund to link to Camden Road across the River Avon on a new bridge.